The Shotgun™ is a compact guitar-level signal buffer designed to drive up to four amplifiers simultaneously while fitting easily on any pedalboard. 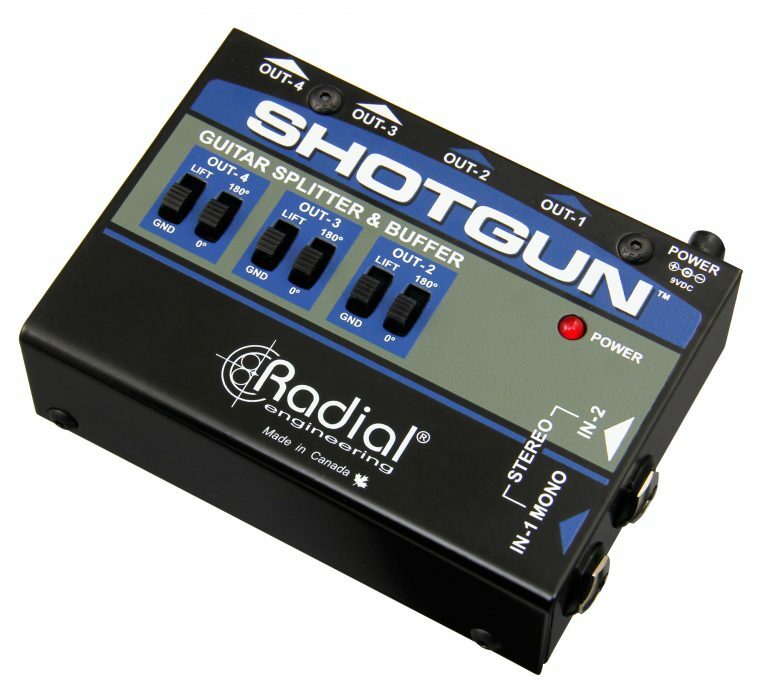 The Shotgun makes it easy to drive multiple amplifiers cleanly and in phase without buzz or hum from ground loops. In mono operation, connect to input-1 of the Shotgun and you can feed up to four amps simultaneously. 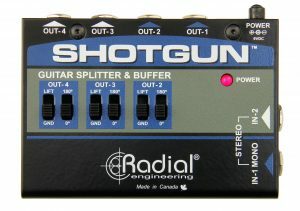 For stereo setups, the Shotgun automatically reconfigures when both inputs are used; feeding input-1 to the first two amplifiers, and input-2 to the second pair. 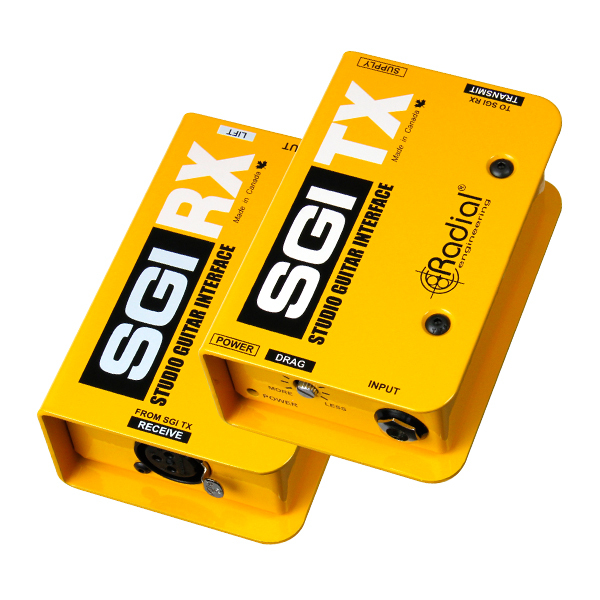 Isolation transformers and ground lifts are included on the outputs to eliminate ground loop noise, along with 180° polarity reverse switches to ensure all amps are phase-matched. The Shotgun gives you total freedom to connect your pedalboard output to amps, effects or the PA. 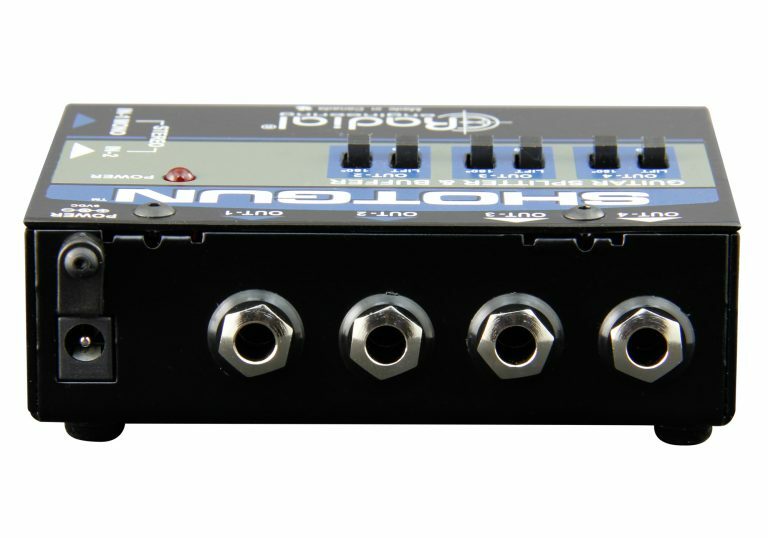 The isolated outputs eliminate nasty ground loop hum. 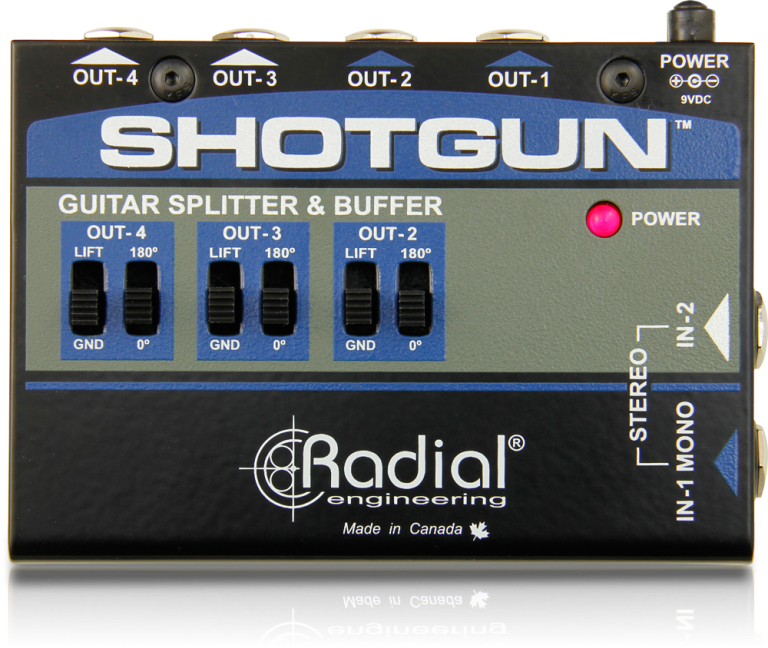 Plug in your stereo chorus and the Shotgun delivers a noise-free stereo signal as it automatically rebalances the load to retain your tone. 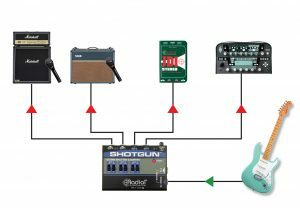 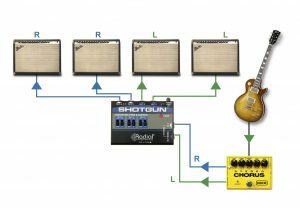 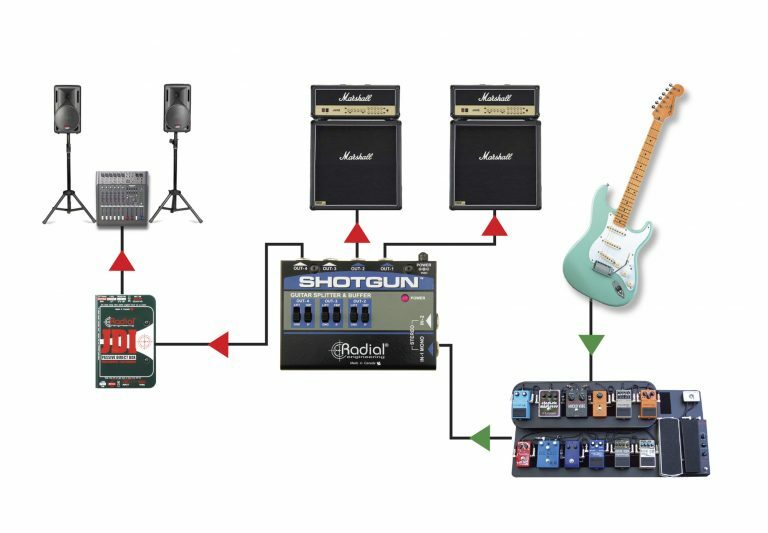 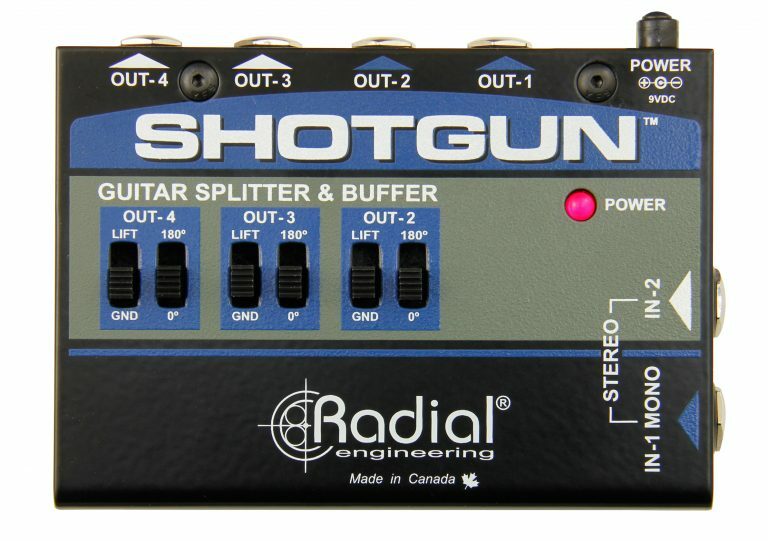 Use the Shotgun to split your guitar signal to various effects, amps and a direct box so that you can Reamp your guitar solo later on. 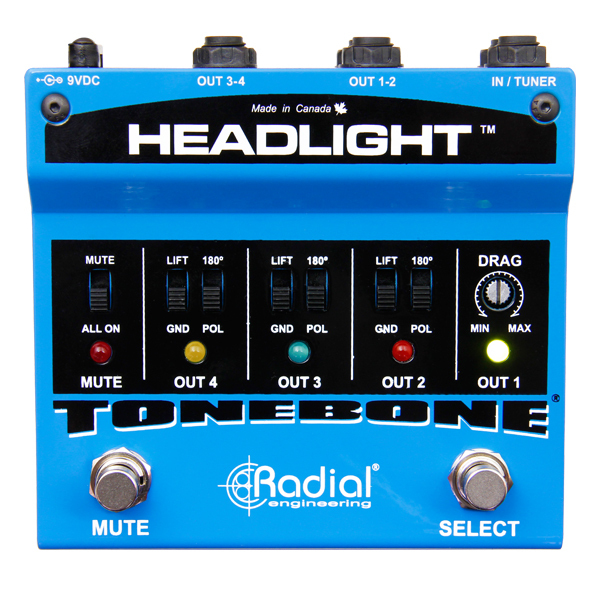 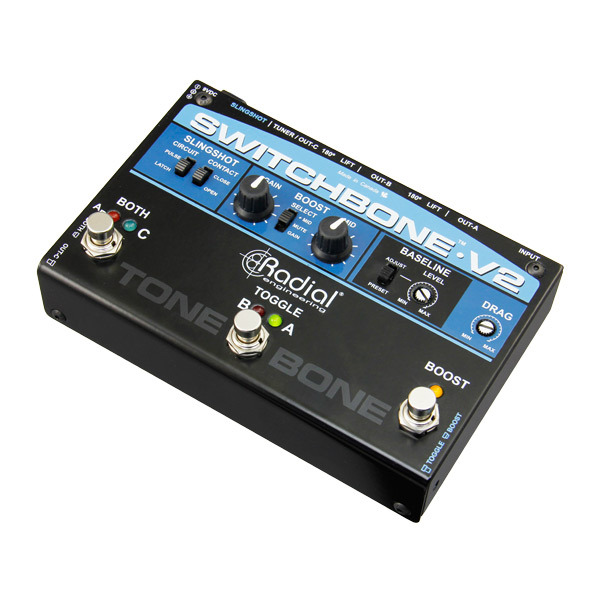 "Incredibly easy to use, the Shotgun drives up to four amps at once without the hum and buzz that sometimes occur via ground loops in the signal chain. 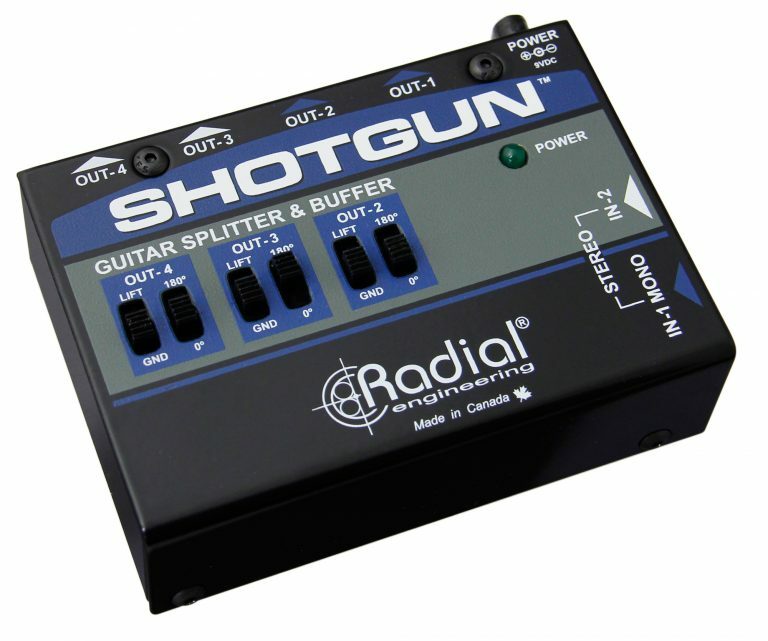 It can also be a stereo-imaging device if a stereo signal is the initial input source, allowing the user to power up to two amps on both the left and right channels..."
"A versatile signal splitter for feeding a guitar signal into multiple amps or mixer inputs. 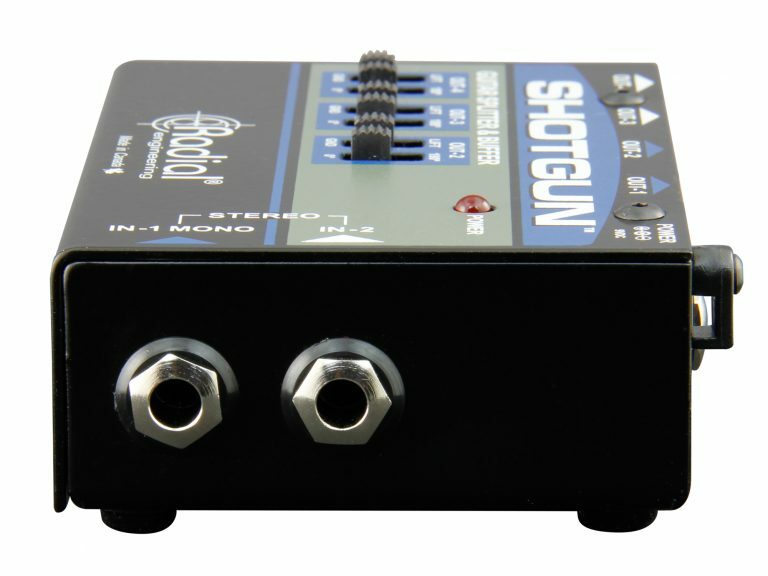 Quiet and roadworthy." 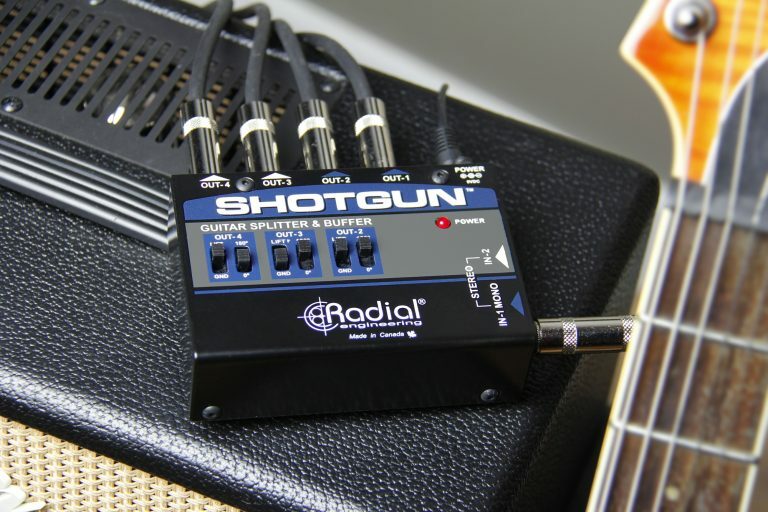 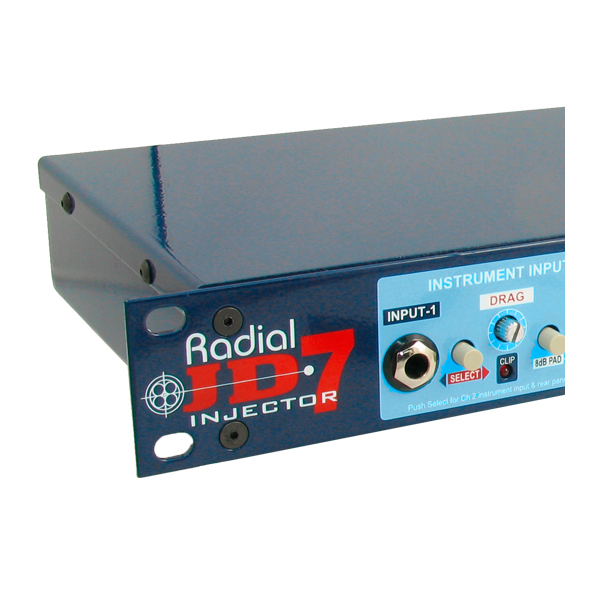 "The Radial Shotgun is a multi-amp distro that drives my signal up to 4 amps at once. It takes care of everything. 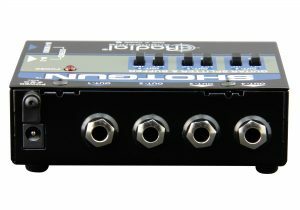 Fantastic."